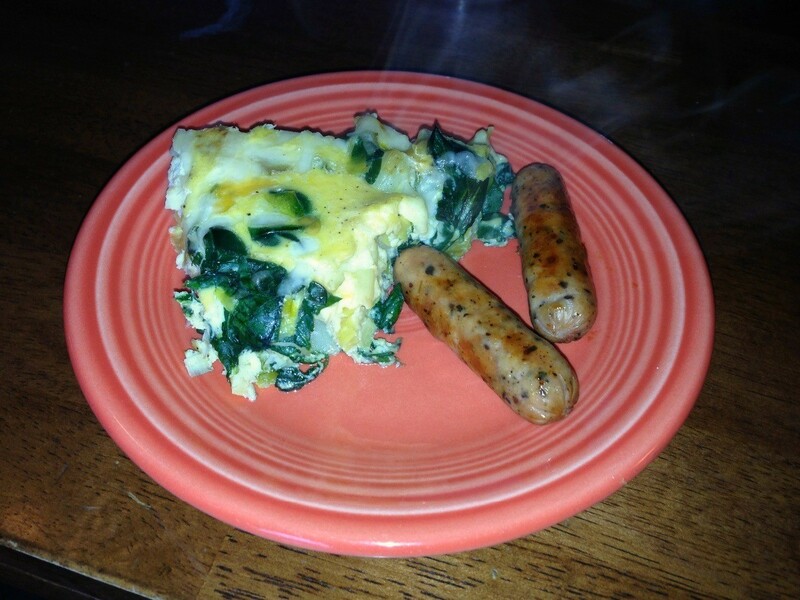 This is a relatively simple egg dish that can be modified for anyone's taste. Bacon would have been a wonderful addition. 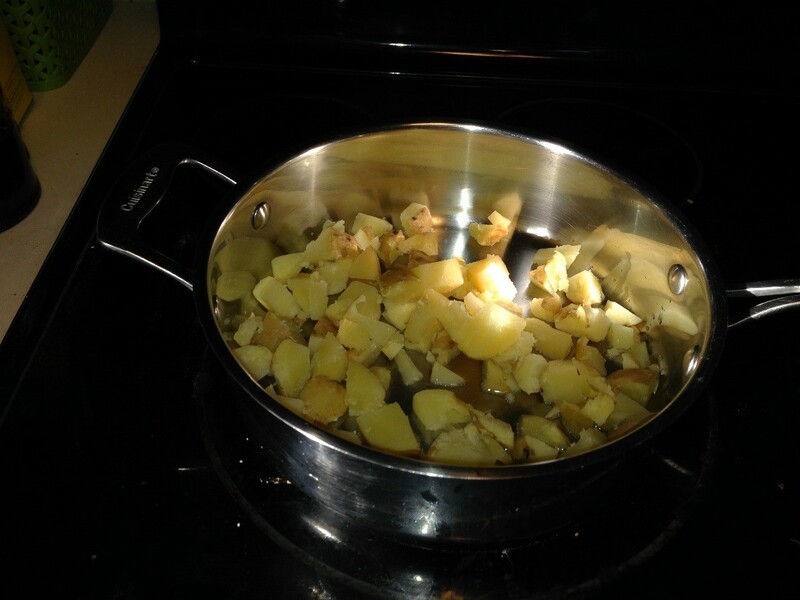 I started with raw potatoes and cooked them, but you could use frozen or leftover potatoes just as easily. Preheat oven to 425 degrees F. Prep leeks and spinach (if needed) so they are ready to go. 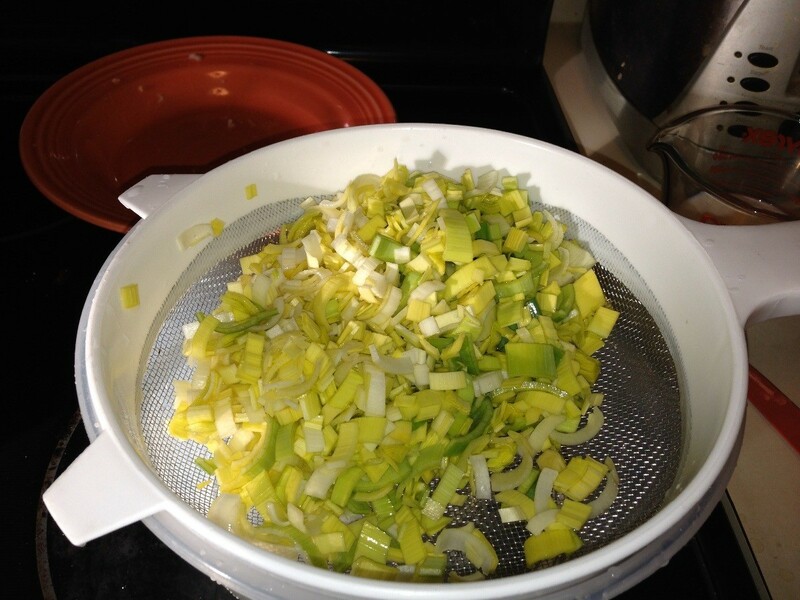 I always soak the chopped leeks and drain them when I need to use them. 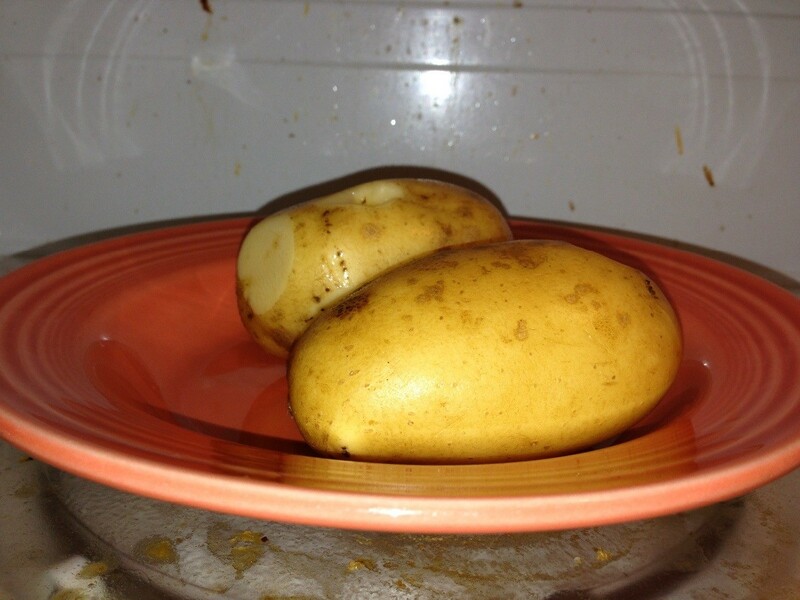 Cook potatoes in microwave until just softened, 3-5 minutes. Allow to cool and roughly chop. Heat 1 Tbsp. oil in pan then add potatoes and garlic. Brown for a few minutes then remove from pan. 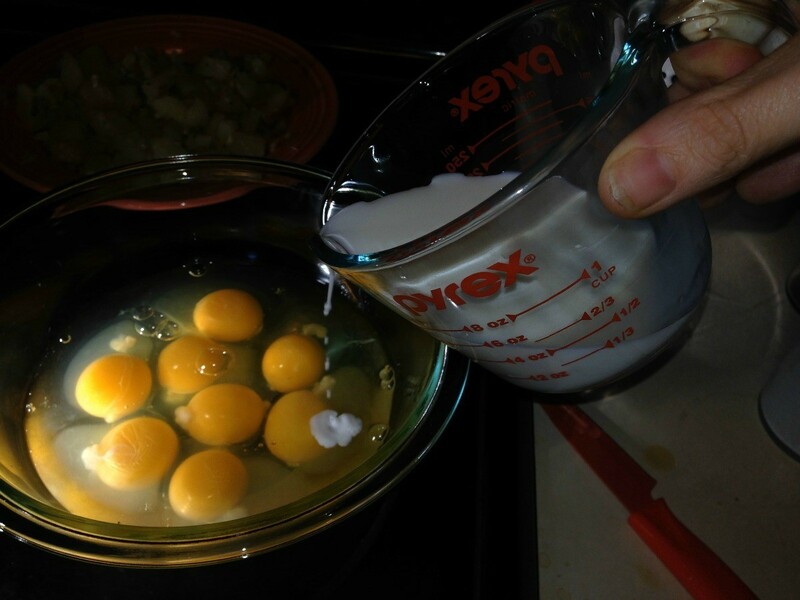 Beat together eggs and milk, until combined. Add salt, pepper and spices. 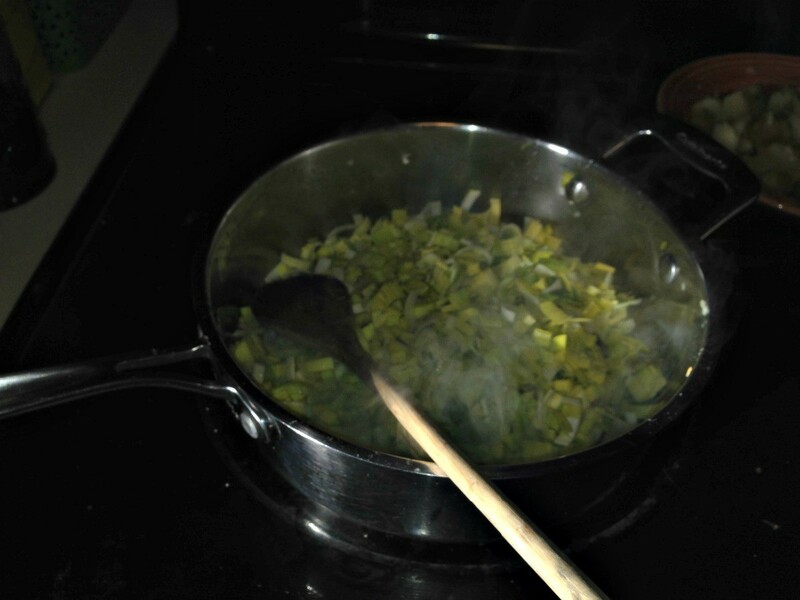 Add a bit more oil to the pan (if needed) and sauté leeks until softened. Add spinach and some salt and pepper. 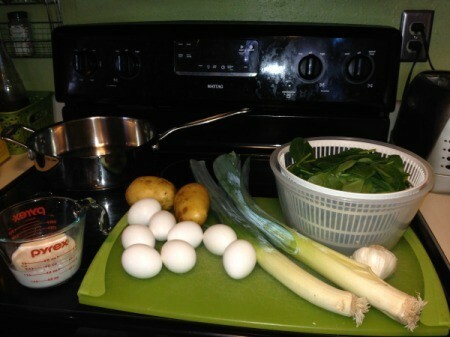 Remove from heat as the spinach wilts and stir in potato mixture. 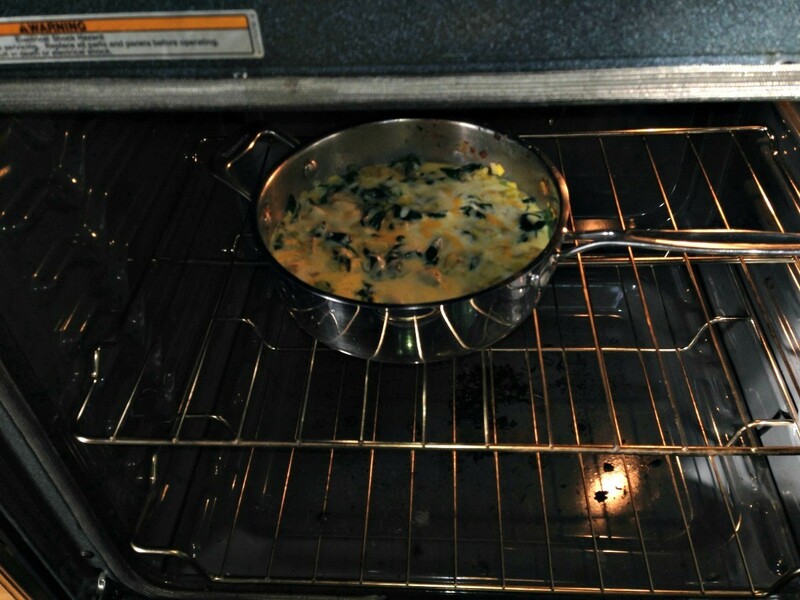 Place in oven for about 15 minutes, or until the top is brown and the eggs are cooked throughout. Allow to cool slightly and then serve. You are supposed to be able to turn it out and cut it into wedges but I just cut wedges right in the pan. I served maple sausage links on the side, but fruit or a light salad would have also been delicious. Many recipes recommend using a cast iron skillet for this recipe. 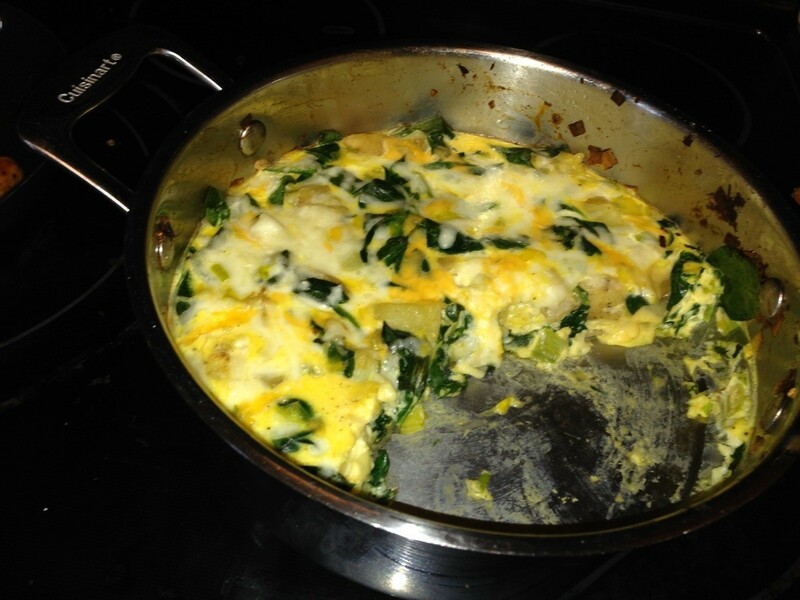 I plan to use one next time as I think it would cook the frittata more evenly and faster. I will also sauté some chopped onion to give the eggs a more savory flavor.